Even as many of today's networks are moving to open architectures, submarine cable networks have remained closed and proprietary. 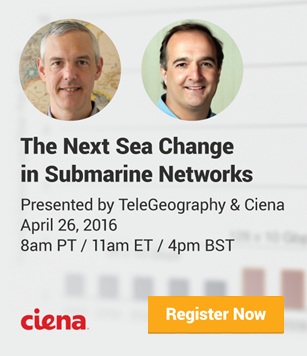 But that is finally changing, says Ciena's submarine networks expert Brian Lavallée. As he explains in this blog post, the evolution to open submarine networks is enabled by the advent of coherent optics, open APIs and new technologies like SDN. Brian Lavallée is Director of Portfolio Solutions Marketing for Ciena's packet and submarine networking solutions. Why should all consumers and businesses care about the hundreds of submarine cables quietly lying on the world’s ocean floors? Because these jugular veins carry nearly 100% of the world’s intercontinental electronic communications traffic, that’s why! The first transoceanic transmission was sent way back in 1858 across a subsea cable that interconnected Newfoundland and Ireland, although the cable insulation soon failed and the cable had to be abandoned. Much has changed in the past 158 years. Subsea cables have been laid on ocean floors around the world, stitching together continental landmasses and resulting in the largest manmade construction feat ever created – the Internet. Subsea cables have gone from a relatively successful, albeit very low-speed telegraph communications medium, to today’s high-speed critical infrastructure carrying hundreds of terabits of data each second over thousands of kilometers on glass strands no larger than a human hair – quite impressive! For a variety of historic, political, geographic, and technological reasons, submarine networks were proprietary turnkey network solutions – in other words, closed. Over the past few years, with the advent of coherent detection modems originally developed for long haul terrestrial networks, all that has changed. Once these coherent modems were successfully tested across a submarine cable – back in 2008 in the beautiful Caribbean -- a proverbial light bulb went off and the submarine cable upgrade market changed forever. Suddenly, it was possible to upgrade wet plants deployed a decade or more earlier, from 10G (and sometimes even lower) to 40G and 100G, and still pushing even higher. This has allowed submarine cable operators to increase the capacity of their undersea assets by an order of magnitude to greatly extend the life of their investment, without having to lay new cables for quite some time. 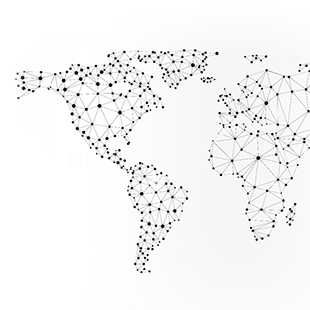 There’s now a strong movement affecting all parts of the global network infrastructure, including most recently, the submarine network. It’s the “open” movement, which aims to remove the proprietary nature from networks to allow network operators to choose best-in-breed technologies from a much broader selection of vendors. Gone are the days of closed and proprietary submarine cable networks. Cable operators will be able to easily choose any vendor’s Submarine Line Terminating Equipment (SLTE) based on the best technology at the right cost points that addresses specific business requirements. But is this really new? Isn’t this already being done? For a few years now, submarine cable operators have been performing capacity upgrades by selecting best-in-breed SLTE vendors that were often not the same vendor as the submerged wet plant. This was a major shift from the past, where capacity upgrades had to be performed by selecting SLTE from the same vendor as the wet plant – the seeds of open submarine networks were planted. However, upgrading existing submarine networks using 3rd party SLTE vendors was not an easy task, far from it. Precise characterization of the wet plant had to be done, due to the lack of publicly available wet plant specifications. So although 3rd party SLTE upgrades have taken place, it could have (and should have) been far easier -- allowing subsea network operators to maintain pace with bandwidth growth, which according to respected analyst firm TeleGeography is growing at approximately 40% CAGR over the next 5 years in most regions of the world. It could be said that the submarine cable upgrade market has actually operated in a quasi-open environment for years, albeit in a less than optimal environment that was exacerbated by tough performance challenges on non-coherent optimized submarine cables with 15-year old specifications that were also non-public, and often treated as proprietary. SLTE upgrade vendors had to gain access to submarine cables to perform meticulous and often difficult wet plant optical characterization by flying specialists around the planet, which is time-consuming and expensive. As well, would wet plant vendors guarantee performance of their wet plant that was originally designed for their own 10G-based modems when 3rd party SLTE vendors deployed new, coherent-based modems on their wet plant? As openness takes hold in the submarine network industry, these issues will eventually be eliminated as the next generation of coherent-optimized wet plants is deployed. These new cable designs are not dispersion-compensated like wet plants of the past, which actually improves optical performance of coherent-based SLTE. It’s rather ironic that for close to a decade, dispersion was a foe to be defeated, but is now a friend to be desired. Coherent-based SLTE coupled with coherent-optimized wet plants makes it easier to model and deploy capacity upgrades, especially when wet plant specifications are shared in an open and public manner. An open set of acceptance criteria is also required such that after an upgrade has been completed, cable operators can be assured that it was indeed successful by meeting an open set of acceptance criteria, which would include metrics such as Optical Signal to Noise Ratio (OSNR), gain profile, and bandwidth. In short, capacity upgrades will be greatly simplified to everyone’s benefit via standardized specifications and measurement procedures. Although publicly available wet plant optical specifications are the first step to open submarine networks, it’s actually only the first step of many. For instance, open photonic architectures, including open coupling ports to enable 3rd party upgrades, are also required to facilitate the upgrade process without service interruptions. Something as seemingly simple as no coupling port turns SLTE upgrades into a painful operational task, and something that should not be faced by submarine cable operators going forward. Open is the way forward. Open terrestrial networks go hand-in-hand with SDN where abstracting underlying physical network assets is enabled via the availability of open Application Programming Interfaces (API). This allows for innovation to be virtualized and implemented much quicker within the software domain by app developers. As a result, network operators, both terrestrial and submarine, are able to choose best-in-breed network hardware with open APIs that facilitates application creation by hardware vendors, 3rd party software developers, or even done in-house. Once wet plant optical performance specifications, testing methodologies, and acceptance criteria are shared in an open, standardized manner to facilitate the important task of capacity upgrades, the next step can be taken by providing open APIs to all active elements of a submarine network. This includes the modems, power management control system, active (smart) repeaters, active Branching Units (BU), Power Feed Equipment (PFE), and so on. However, the submarine network industry is understandably a rather conservative group given that subsea networks are designed for a typical 25-year lifespan and lay in some of the harshest environments on earth, the ocean floors. This means the adoption of open APIs and SDN may come at a slower pace than in terrestrial networks, but the wave of innovation unleashed in an open environment simply cannot be ignored. It’s no wonder the open movement has come to the forefront of discussions, and often-heated debates, in the past year. 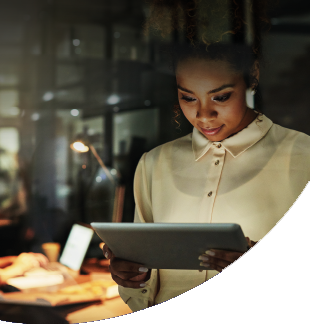 The benefits and possibilities offered by open networks create new business opportunities through a transformational change in how networks are designed and operated. Most of the current open movement within the submarine network industry is centered around facilitating SLTE capacity upgrades on new coherent-optimized wet plants, but this is just the tip of the iceberg. The adoption of open APIs, a rather foreign concept to this particular market space, allows the entire submarine network to be abstracted to where terrestrial networks are already rapidly headed. This will allow the network operators to abstract and virtualize their entire network from end-to-end and not know, or even care, whether the data is being carried overland or undersea. 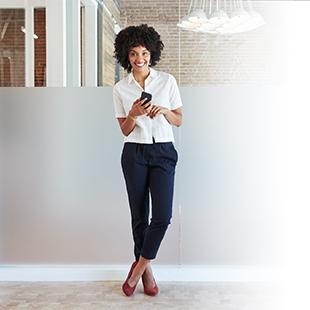 This is the ultimate vision of Ciena’s GeoMesh network of tomorrow. Open submarine networks will be a hot topic at SubOptic 2016 next week, as it truly is a revolutionary change coming to a conservative industry. From a technology perspective, open SDN-enabled submarine networks will completely change how they are modeled, designed, deployed, and managed. From a business perspective, network operators can choose best-in-breed technologies from a broader selection of vendors, streamline operational processes, accelerate service innovation, reduce time-to-market, and maintain pace with web-scale content players who increasingly account for the majority of transoceanic bandwidth growth. If you’re attending SubOptic 2016 in Dubai next week, plan on attending the “Promise and Reality of Open Networks” workshop on Tuesday, April 19th from 5:00PM to 6:00PM, which will discuss this very hot topic. You can also swing by the Ciena booth to discuss why open submarine cable networks should be a key part of your vision – our booth is always open. 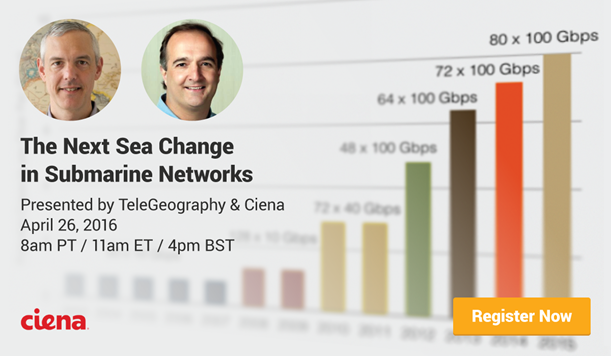 I'll also be co-hosting a live discussion on April 26th with Erik Kreifeldt, Senior Analyst with TeleGeography, covering the technology changes in recent years that are moving the indusry to open submarine cable systems. For more info and to register just click the link below.